The next time you walk into an Apple Store, ready to look down the line of MacBooks and iMacs and pick one out like a perp in a lineup, keep in mind that your options go far beyond what’s out on the show floor. Here’s how you can use Apple’s website to design your own custom Mac, including some tips on what you should prioritize. In-store and on the website, Apple has a bunch of pre-set Mac models. As you might expect, more expensive models come with additional features. For example, the entry-level 13-inch Macbook Pro does not come with a Touch Bar, but some of the mid-level and all the high-end models do. Some options, however, come in too many different flavors for each to have only one set model. Once you hit Select for the model that comes closest to what you want, you’ll see a bunch of potential upgrades that you can take advantage of. Keep in mind that in stores, only the base models are immediately available. You can get a custom order shipped to an Apple Store for pickup, but you’ll have to wait for delivery. This usually takes about a week or so. Let’s examine the three most important aspects you can customize on your Mac. The processor is the brain of the computer. There are two important considerations when it comes to choosing the right one for you. The first factor to consider is the processor’s speed. To get a sense of this, you have to take into account its clock speed, which is measured in gigahertz (GHz). You also have to check what generation of chip it is, and whether it is an i5 or an i7. In general, the more GHz and the later the generation, the faster the chip. Additionally, i7 chips are faster than i5. CPU speed matters most for heavy-duty tasks like rendering video, so consider an upgrade here if you do that often. You also want to look at how many cores you might need. Each individual processor core can perform its own task, so multiple cores means that you can run many tasks at once without experiencing a loss of speed. More cores are great if you need to multi-task, particularly if you work with graphics or video. The most tricked-out iMac Pro comes with an 18-core processor, which is definitely overkill. But you might consider upgrading to at least a quad-core for general use. The next customizable item is memory, also referred to as RAM. Every time you open up a program on your Mac, the data in that program takes up space in your memory. Therefore, the more memory you have, the more programs you can have open at once without slowing your machine down. Once your machine has used up all your memory, it starts running programs from what’s called Virtual Memory. This exists on your hard drive. Back in the days when hard drives were relatively slow spinning disks, this could lead to a huge slowdown. Now, however, all Mac notebooks come standard with SSDs, which are much faster, and the slowdown isn’t as noticeable. However, even SSDs are still slower than RAM. Thus, if you’re the kind of person who has a hundred open browser tabs at once, you might consider upgrading your memory to at least 16GB. If you only use your Mac for light tasks like browsing and email, 8GB should be fine. Finally, you should look at upgrading your storage space. The standard Mac notebooks come with drives that range from 128GB to 512GB. The upgrades, however, go as high as 4TB. All of these drives are SSDs. On the iMac side, the standard models all come with at least 1TB hard disk drives (HDDS, not SSDs). You can upgrade them with SSDs or with higher-storage Fusion drives. A Fusion drive combines the speed of an SSD with the high capacity of an HDD. SSD stands for Solid State Drive. They are smaller than traditional desktop hard drives and much faster. Due to the lack of moving parts, they’re also much less likely to break down than a spinning disk drive. The trade-off is that they are more expensive, especially at higher capacities. Usually, that trade-off is worth it, as is splurging for a higher capacity. Having an SSD in your system improves speed across the board. Most entry and mid-level Macs come with integrated graphics cards. Apple builds the graphics card right into the logic board, and it works seamlessly with the processor. They work fine for light use, but aren’t suitable for heavy-duty graphics work like gaming. More expensive Macs come with dedicated graphics cards, which are separate components with their own processors and dedicated memory. These Macs allow you to customize your graphics cards to a certain extent. If you do any graphics-related work like graphic design or film, or if you are a gamer, a dedicated graphics card will perform much better than an integrated one. The only person who really needs to max out their graphics card is someone who renders 3D graphics a lot, like a video game designer or animator. If you are such a person, but you’re still on a budget, you want a card with the most memory you can get. Which Upgrades Should You Prioritize? If you’re on a budget and you can only afford one upgrade, you have a decision to make. In the past, you could upgrade certain components on a Mac after purchase, particularly the hard drive or the RAM. But those days are essentially gone. You have to go into your Mac purchase knowing what you want to splurge on. If there’s one aspect that almost everyone runs into an issue with eventually, it’s disk space. Most of the entry and mid-level Macs only come with 256GB, so you should avoid getting a Mac with minimum storage if you can. You’ll thank yourself later. Here are a couple under-the-radar custom options to get you started. iMacs are the only Macs whose standard models still come with a spinning hard drive inside. Upgrade to an SSD to increase disk speed and greatly decrease your chances of hard drive failure. Keep in mind that a 1TB SSD upgrade can add a hefty $700 to the price tag. If you don’t need that much space, a 256GB drive is much more reasonable. The new Mac mini has an optional upgrade to turn its Ethernet ports from 1 Gigabit to 10 Gigabit for $100, which makes it a viable (and affordable) server alternative. Buy your Mac at the right time of year to take advantage of every deal you possibly can. 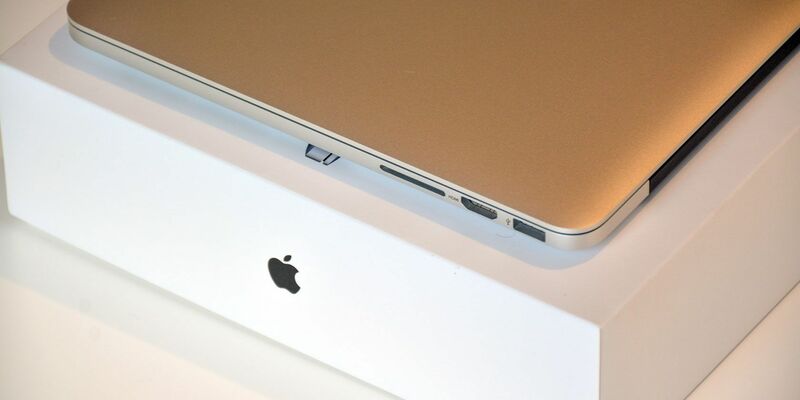 Combine those deals with your ideal customizations to get the Mac you want at a better price.